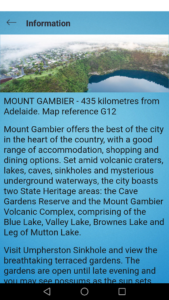 The November 2018 release of the Mount Gambier app evolved from my invigorating experience as a member of the inaugural New Venture Institute Accelerator in Mount Gambier during May June 2018. 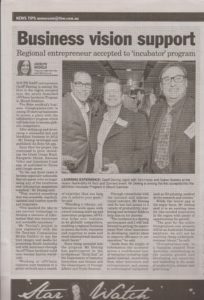 This initiative came from the collaboration with Flinders University and supporting local businesses. With thanks to the Border Watch Group especially from Geoffrey Dening, Goingtoplaces.com’s founder who was the recipient of a valued Sponsorship award. 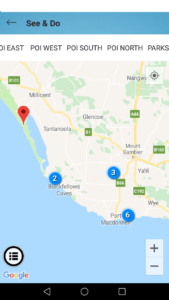 The Limestone Coast region is the link between the state of Victoria, adjoining the Great Ocean Road region which remains Victoria’s dominant regional tourism draw card with record numbers of domestic and international visitors last year. Tourism pumped an estimated $1.9 billion into the region’s economy with an estimated 23 million visitors enjoying the iconic coastal attractions. Additionally the adjacent Grampians region also experienced a tourism surge last year with a 32.5 per cent surge in domestic tourism expenditure and a 12 per cent rise in international overnight visitor numbers. 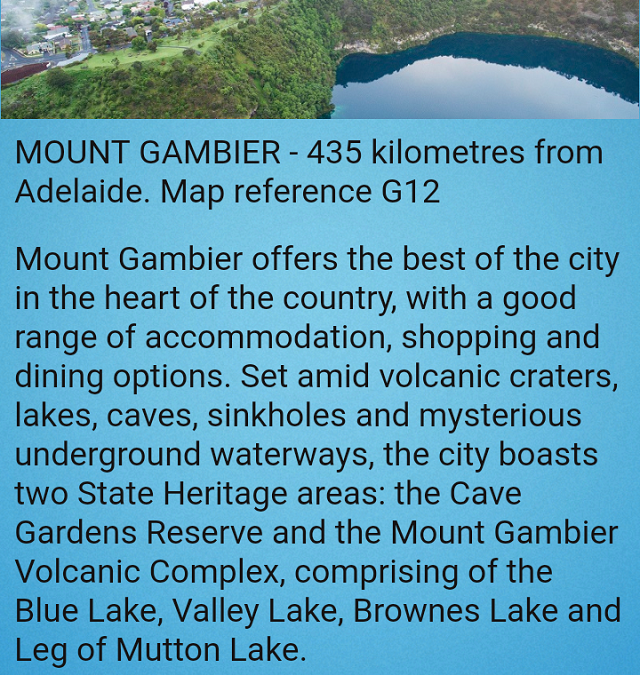 Listing in the Mount Gambier app is easy to do simply contact the publisher with your description and choose 1) Display Listing $174 ($14.50 p/month) 2) Standard listing $96 ($8 p/month) As a digital product your listing can be updated at any time unlike a printed promotion where you have no flexibility. Mount Gambier city is the gateway to the southern state’s heartland. 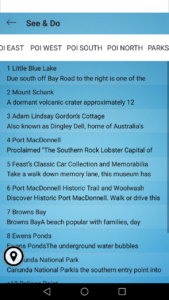 This city’s app includes the surrounding region’s sights, adventures and destinations. With almost everything within a 60-90 minute drive, it is an ideal location for visitors to choose to begin their experience of all the region has to offer with ease. 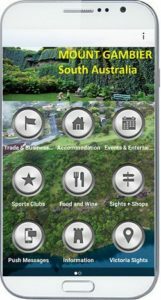 The app is linked with the Great Ocean Road app, Kangaroo Island, Barossa Valley, Robe SA and Limestone Coast apps all which cover the destinations visitors have targeted. 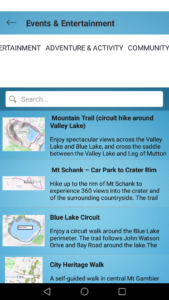 With new apps in development to cover other growing destination choices. 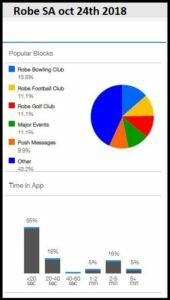 I have been publishing and developing apps since 2016 when the Robe SA app was published. 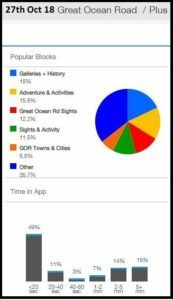 From that period the goal was to, build a connected app ecosystem designed to deliver the desired business, services, activities and experience information of towns, cities, regions, to residents and travelers. The apps include the weekly social and sporting events as well as special celebrations of communities. The core is to provide location specific hospitality through the information so people can engage in the day to day activities of the community experience and have a truly engaging time in a location The Border Watch Group support in promoting the new app release has been much appreciated together with the ongoing access to the New Venture Institute facility in Mount Gambier and Flinders University Tonsely Innovation precinct. The app ecosystem was built from the position of the designer who was a Hospitality operator, delivering a service that was lacking and what accommodation guests wanted. A tool that is also representative of the paying clients; the Small Medium Enterprises who provide the services for the traveler and residents who are our valued customers. By directly contacting the businesses and collating the location information, not using aggregators. 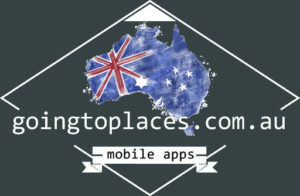 Goingtoplaces.com built a platform which promotes and advertises businesses and the activities with a direct connection between businesses and customers. This is not a psuedo hospitality operation whose actual purpose is to skim money from the hospitality providers. Working on a model of allowing anybody to make comments about a business and then removing the direct connection between the customer and provider. 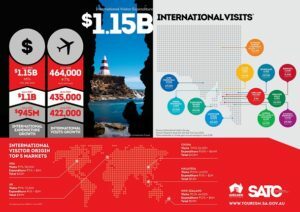 Australia’s growing tourism industry is now over 8 million international visitors to Australia annually. Our growing domestic tourism, from our 25 million residents contributes A$61 billion to the national economy, in the 9 months to March 2018. Atthe same time the international hospitality aggregators are taking $1.5million per day out of Australia’s economy in commissions from accommodation providers. That is not acceptable, money earnt by Australian popularity, removed and out of circulation off shore. Currently travelers have to rely on the national Visitor Information Service to find, places to go, events and things to do in Australia. Assorted domestic websites and apps exist. There is no cohesive easy to follow digital information delivery. Our app ecosystem vis updated at the customers convenience. According to figures released by the Australian Bureau of Statistics the number of actively trading businesses in Australia has increased for the fourth year in a row. More than 2.24 million actively trading businesses in Australia in June 2017, An increase of 3.1 per cent from June 2016, with the growth primarily driven by non-employing businesses. The initial business target has been the 275,000 plus Tourism operations in Australia. All apps are published in iTunes and Google stores. No glitches and product failures. With no active promotion at the minute, the downloads are increasing with organic user demand.